Yesterday in the heat we took a break to explore the Upper Latrobe again during the afternoon – it’s THAT close! 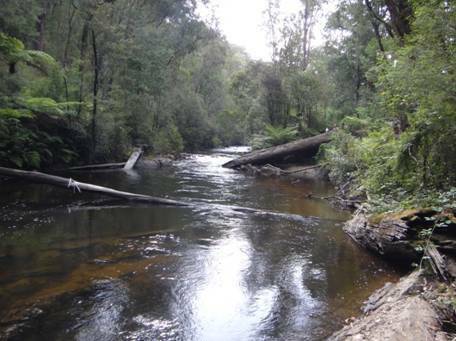 There is a wonderful campsite down a ferny 4WD track off McKenzies Rd (Neerim East) near Noojee (shown). 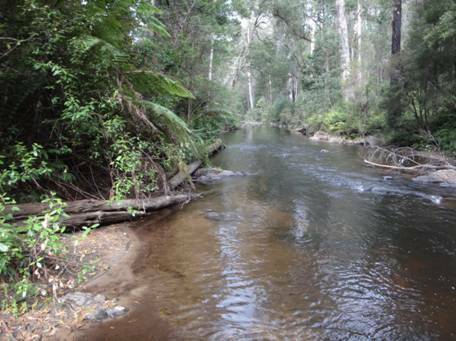 There is plenty of water for canoeing and you can put in under the bridge downstream of Noojee. The river becomes bigger still just around the corner after the Toorongo joins it. (Remember, these photos were taken when the Macalister and Wonnangatta were uncanoeable due to low water levels.) We also checked out the Tanjil River in Costins Rd near Fumina South. It is clearly canoeable from there down to Blue Rock. I know both rivers will have many portages over logs, but if more people canoed them these logs would slowly disappear. They both have lots of beautiful campsites and innumerable trout and crays. Enjoy! 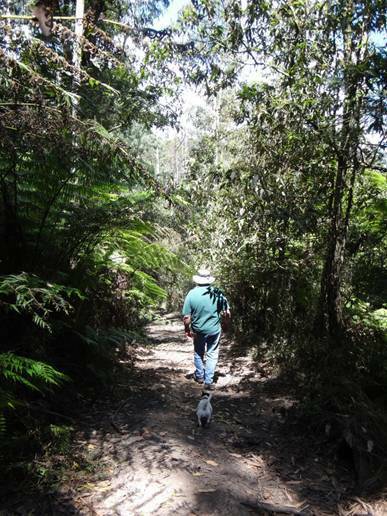 Ferny Track near the end of McKenzies Rd, Neerim East near Noojee. 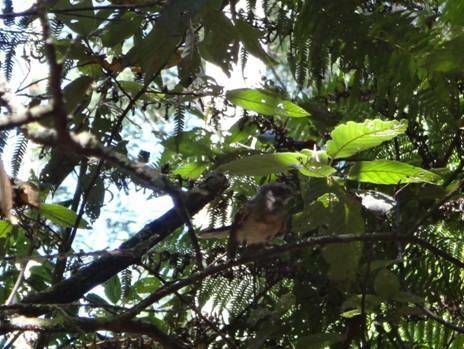 Fantail: Ferny Track near the end of McKenzies Rd, Neerim East near Noojee. 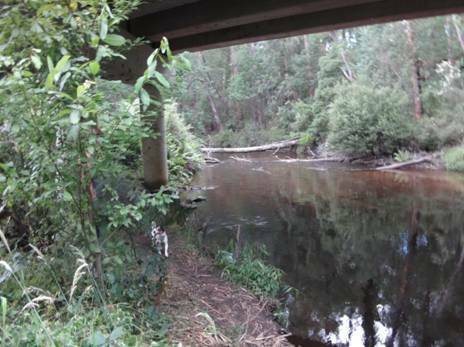 Under the Noojee Bridge (near Toorongo confluence). West Tanjil River, Costins Rd near Fumina South looking upstream. West Tanjil River, Costins Rd near Fumina South looking downstream.